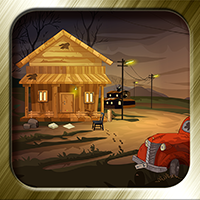 Description: 1342nd--Brother's Treasure Recovery - 10 is an enchanting and exciting point and click type new escape game developed by ENA games for free. Dream up a situation that there are two brothers planning to get back the treasure from the biggest pirates gang. Unfortunately, that pirates gang took one of the brothers away. As a player, you need to help one of the brother to get back the another and also to recover the treasure from them. In the previous level, he crossed the old palace and in this level he reached the seashore on the way to the island. Let us see, whether you help him get back his brother and the treasure or not. As you are a person of good problem solving nature, it is sure that you will succeed by finding the necessary objects and solving the puzzles. Have greater excitement and fun by playing escape games daily. Good Luck and Best wishes from escape games.